No animals or extraterrestrial life harmed in making! If switching out your beautiful home décor for that that is a bit frightening then you’ve come to the right place! Just like you, Halloween decorations are our favorite and we love snagging new items to hide around the house to get a scare or two out of your friends and family. A skull is the perfect addition to your collection but wait, not just one skull, how about 12! That’s right, you can litter your home with the skulls of the dead this year! The bag of skulls set includes 12 small skulls made of molded plastic. Each skull is approximately 4" x 3" and is shaped to look like a human skull. 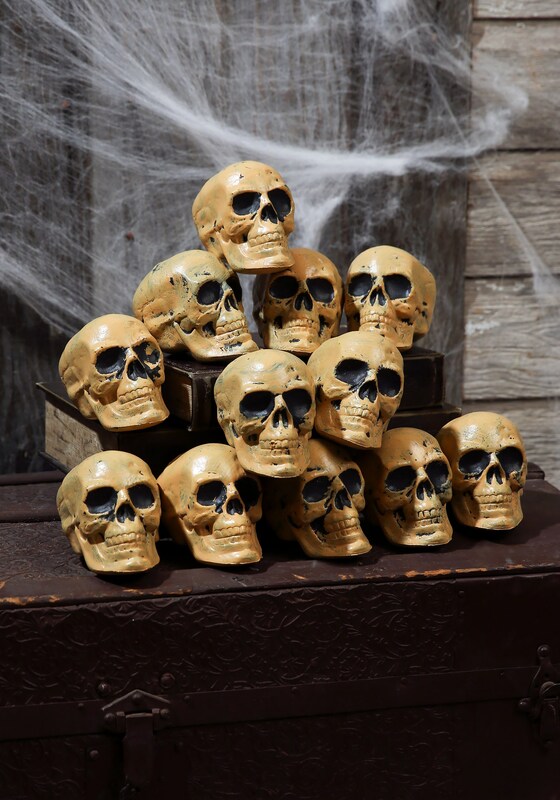 Check out all of our frightening decorations to bring a deadly look to any party.